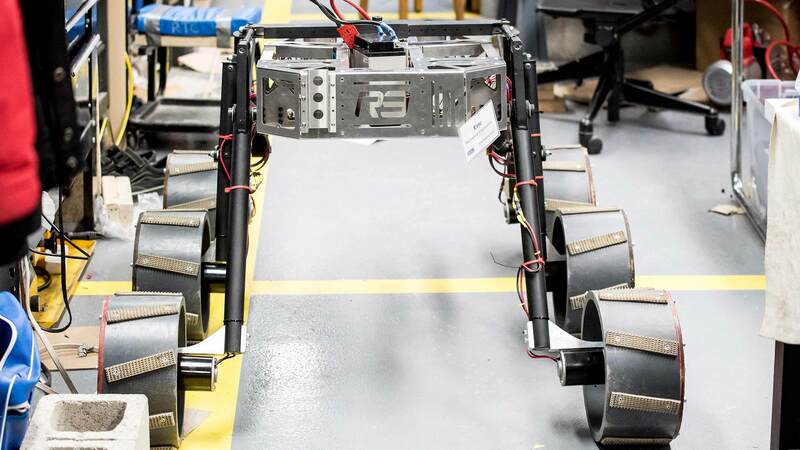 Ryerson Rams Robotics (R3) has unveiled a rover they say can drive faster and climb higher than NASA’s exploratory robot on Mars, Curiosity. The team submitted its design to space advocacy organization The Mars Society’s University Rover Challenge earlier this month, when it began testing its unique suspension system. The competition will take place in June. “Basically everybody in the competition either uses something based on a car suspension or something based on the one the Curiosity uses on Mars right now. 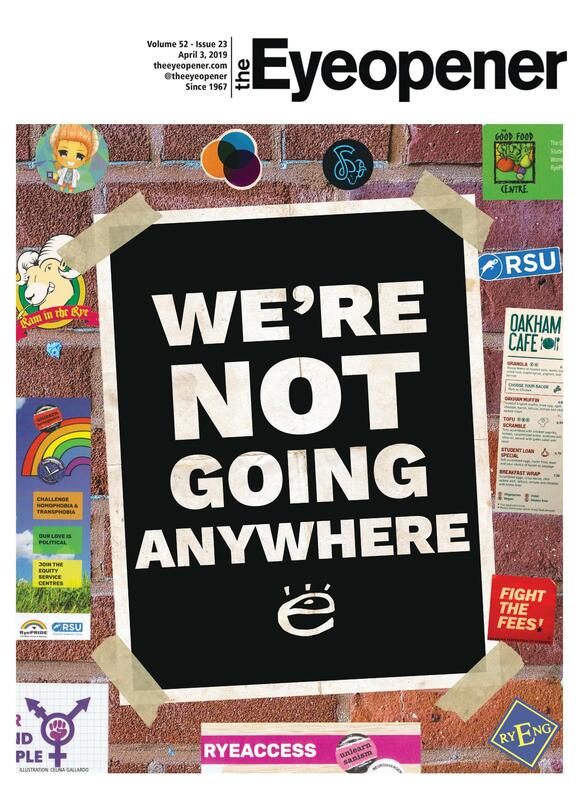 We’re trying to do something better,” Feroz Balsara, a fourth-year Ryerson engineering student and project lead, said. Instead of using a traditional spring suspension, Balsara’s team’s rover evens itself on rocky terrain with its flexible joints. The frame, which has three wheels on each side, connects its main body to joints between the back and middle wheels. The joints absorb shock and let the frame face hills as steep as 65 degrees—more than twice Curiosity’s steepest climb. They also let the rover reach several times the speed of Curiosity without fear of it tipping over. In testing, the rover has started climbing over cinder blocks more than half-a-metre tall. “When you have a human on Mars and, for example, he needs an oxygen tank or a tool to perform a task. It’s a lot more time sensitive. So you can’t have a rover move across the ground super slowly or take a very conservative path,” Balsara said. The competition, which will accept 30 rovers from universities the world over, challenges students to help future space missions. The event takes place in the deserts of southern Utah, where competing rovers will have to withstand heat, dust and some light rain. The rovers cannot cost more than US$15,000 and will have to test soil samples and survive a meter-high drop test, as well as meet other size and strength requirements. Teams will have to control their rovers from a station up to a kilometer away. R3 will have around 10 people working in the competition, supporting the task of the arm operator, science tasks operator and the main robot operator. 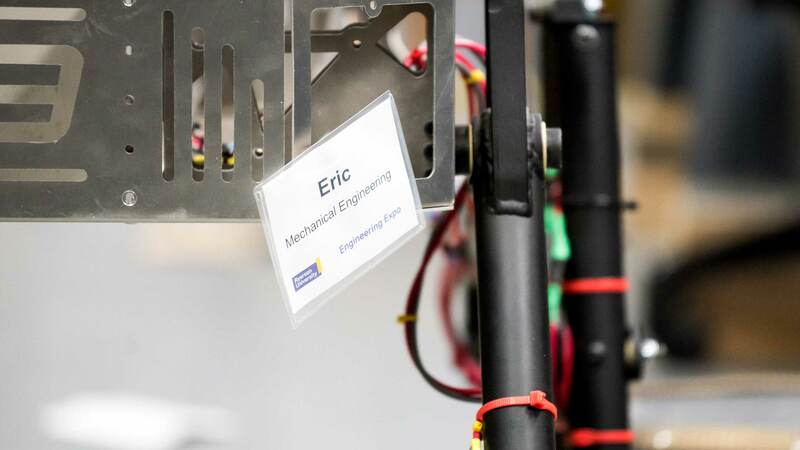 “Our task is to make sure we never lose communications, perform enough simulations and give feedback to the driver so they have all the information,” Michael Marmeto, a fourth-year Ryerson electrical engineering student and control team leader, said. The competition warns of steep slopes in excess of 45 degrees for rovers to navigate. It also says there is no limit on the size of drops or boulders the rovers may encounter. 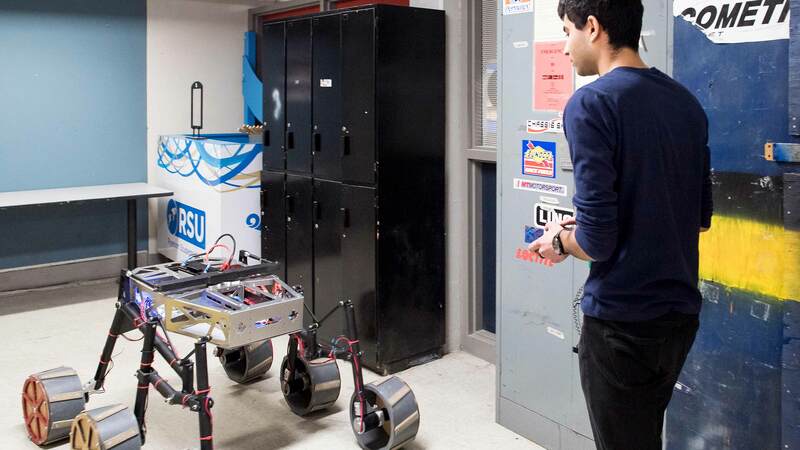 To prepare for their first-time entry into the rover contest, Karan Guglani, the science team leader and third-year Ryerson mechanical engineering student, said the team has been working on the rover, almost non-stop since July. “For March Break, I think there were a whole bunch of us that, every single day, did not leave here before three in the morning. 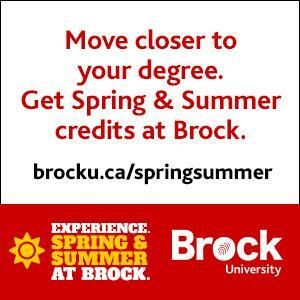 Ten of us,” Balsara says, referring to the basement room in Kerr Hall where they work. Part of the team’s challenge has been working around the operating budget, which is less than the US$15,000 they have for the rover. 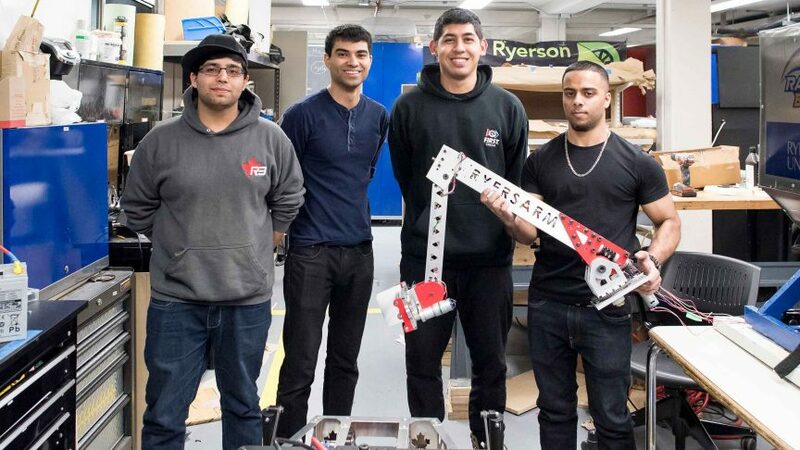 Using parts that were recycled or found from scrap and a $200 repurposed handheld woodcutter, Omar Shariff, the rover’s extending-arm team leader and third-year Ryerson mechanical engineering student, was able to make an important computerized machine tool that could have easily cost $100,000, Balsara says. Shariff’s creation looks like an electric knife on rails and uses a small LCD monitor for a display. “Because it’s computer controlled, it can cut complex geometries that you couldn’t do by hand,” he says. People who have worked with R3 have gone on to get jobs at tech company Advanced Micro Systems and at Honda, Balsara says. For Balsara, who created R3 three years ago and considers the rover his “dream project,” the fun is not over. “If you get in something really challenging that you like doing, it’s really hard to get out of it,” he says. His team is still tweaking their design before the competition. The team plans to add a body with decals and stickers, mount a redone arm and give the rover proper wheels with springs laid radially inside for suspension. “The kind of innovation that we’re working on could make it hopefully to some kind of rover that’s actually leaving earth, not going to Utah,” Balsara says. Kid, have you try it on the sand? How to calming the rock?